Training is often a great model for ideas that are in important in and out of the gym. One of those key concepts that is so true for life and training is that the best things are often those that we aren’t doing. When I think the “duh” factor of this, I also realize that the reason we aren’t doing those things is because we aren’t that good at them. That is why I like to show people that our value system of DVRT isn’t based around things we are good at, but the things we know are most productive. A great example is how we view the deadlift. 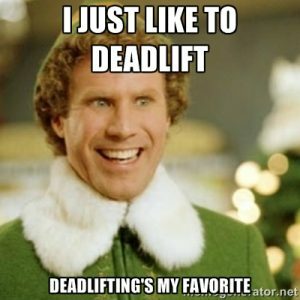 Trust me, I would love to tell you the simple idea of “just deadlift.” It is something everyone could understand and I’ll let you know from personal experience, it would make you feel pretty darn strong! What do I mean? Improving in the deadlift isn’t all that hard. I would routinely have male clients around 400 pound deadlifts and women that could hit 185-225 without heavy focus. These were just regular people that could train a few times a week. I loved the deadlift, it made me feel really strong! As someone who has had a really bad low back since I was 14, being able to hit almost a 600 pound deadlift made me feel like I was definitely on the right path. However, there was a deadlift that just made me feel pretty horrible. That was the single leg deadlift. It never made sense to me, how could I have such a big deadlift and struggle on the single leg deadlift? I couldn’t hide in the single leg version. Tearing up my ankles in basketball exposed my lower leg and foot issues. The true lack of core and pelvic stability I possessed because of my low back became very evident. In other words, the deadlift I probably NEEDED to be doing more of I often wrote off as a “balance exercise”. In reality, I didn’t like this deadlift because it was so frustrating for me. This is pretty much how I felt doing the single leg deadlift! In retrospect, my struggle with the single leg deadlift is probably really common. Most coaches probably believe the single leg deadlift is good and would like to do it more, but they can’t get people to be successful. That’s where we look at DVRT being about solutions in helping people gain more success. When it comes to the deadlift, we can go heavy, don’t worry. I know a 130 pound Ultimate Sandbag doesn’t sound heavy, but go ahead, pick one up! So, load is always something we can use, so don’t mistaken that we don’t add weight to our exercises! However, that is really the ONLY option most people have available to them. The reality is that we can accomplish the single leg deadlift if we use these 3 DVRT concepts….. If we use these three strategies WITH the idea of going heavier, then not only can build far greater success to the single leg deadlift, but we can do so with almost endless options of different movements. People sometimes get overwhelmed with all the options that DVRT offers, but the truth is I just gave you four! It is our ability to mix these variables that helps us create greater progressions. What order should you do them in? DVRT Master, Sean Lettero, shows how we can build towards the single leg deadlift by combining these elements. The band around the ankle keeps the foot active throughout. 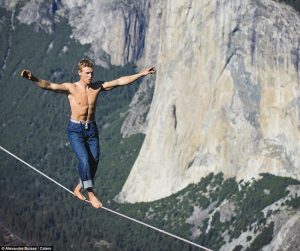 When you see your results crossover to so many other types of training, you will find doing the things that you aren’t naturally good at, are the most fun forms of training. When you see how a much bigger world of functional training opens up for you, it becomes exciting to train. When you don’t have a bigger toolbox, but a better toolbox you can help more people. Isn’t that what we are trying to achieve with these exercises? Discover how DVRT is changing the way we train. Save 25% on our DVRT great workout programs HERE with coupon code “save25”. Get a training program for every level and fitness goal!